Parking Lot Repair and Maintenance - DuMor Construction Inc. There are a few key signs that can point you in the right direction. Large and numerous “alligator” cracking is usually a good sign to get some work done. Of course, if you see large potholes and the lot is in a general state of disrepair, it is certainly time to give us a call. If you seen a few small cracks distributed sparingly over the entire lot, you may only need a few hours worth of crack sealing surface. Any crack left unattended, however, will only get worse over time. We always advocate preventative maintenance to avoid future repairs. With small cracks, sometimes only sealcoating is needed. To solve this issue is necessary to apply a light seal coat (like an emulsified asphalt slurry seal). 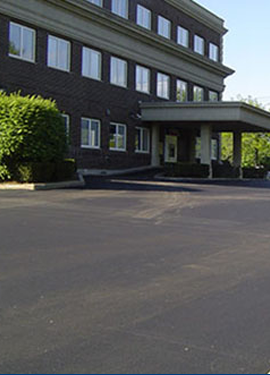 This seal coat is a thin asphalt surface treatment used to waterproof and improves the smoothness or hardness of your parking lot, which in this case would definitely be needed. On the other hand, if the pavement is in a semi-state level, meaning that random cracks can be seen, you may need a bit bigger of a process. 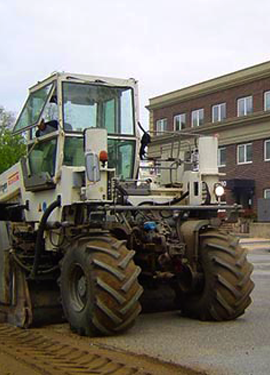 Our crack sealing service addresses those openings, which should be filled with emulsified asphalt slurry or a grade of liquid asphalt mixed with fine sand. 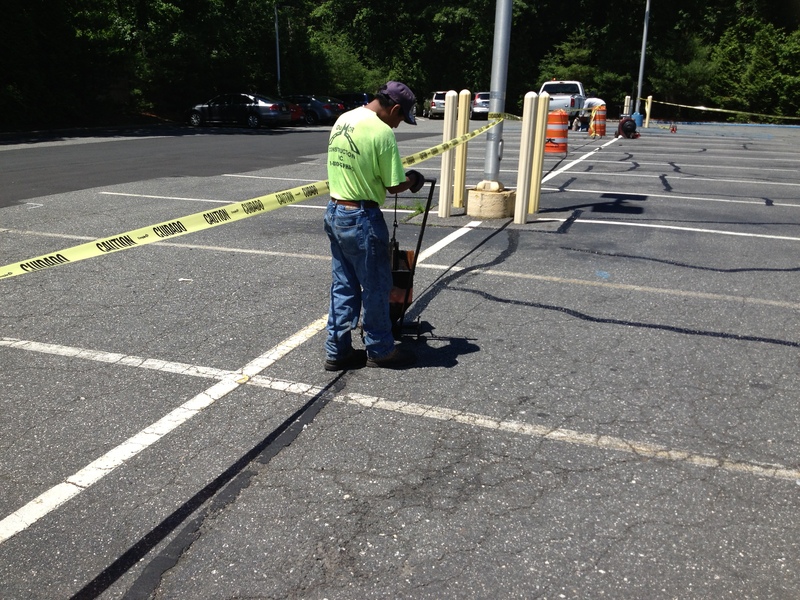 Crack sealing, minor parking lot patching, and sealcoating are all methods that we can perform regularly on your lot. We highly recommend getting in touch with us to set up a semi-regular service. The value gained is unbeatable here. Preventative maintenance rarely takes an overly long amount of time, and ends up costing way less than an intensive repair job. Having an overhaul done also puts the parking lot out of use for a much more extended period of time, which is generally not an appealing idea to most property owners. If the pavement is in really bad shape and has a lot of potholes and large cracks, more drastic measures need to be taken. In this case, there are several techniques that will help to bring the asphalt to a good condition. These techniques are based on patching and crack sealing work. Patching is the process of filling potholes or excavated areas in the asphalt pavement. 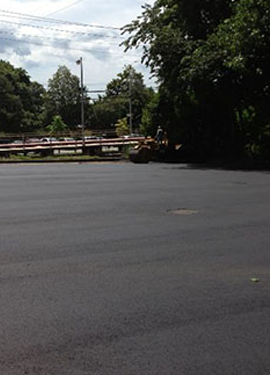 The most common method for asphalt patching is filling the hole with liquid asphalt and compacting it with a roller. There is also a semi-permanent repair method, which entails our crew removing as much water and debris from the pothole as possible, excavating a square from the pothole, and then filling it with a mix and compact it with a different tool than your standard roller. This is a lot more time and labor intensive but can yield some nice results. 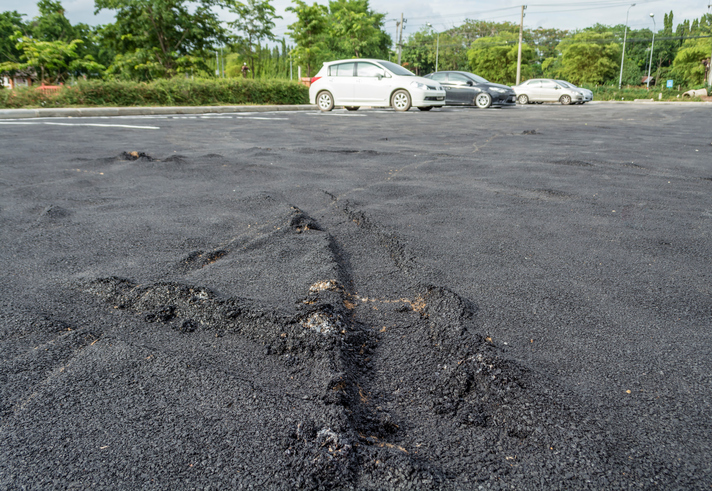 For a parking lot that is seeing a lot of heavy or industrial traffic, this can be a really good option rather than a standard patching job. There is also the Spray injection technique, which consists in blowing water and debris from potholes, then spraying a tack coat of binder on the sides and bottom of the pothole. Afterward, the asphalt must be blown and aggregated into the pothole to finally cover the patched area with a layer of aggregate. There are other techniques and methods out there available to us, but these are the most common practices that a typical paving contractor will offer. We have a wealth of information among our staff, and we’d be happy to help you in any way we can. 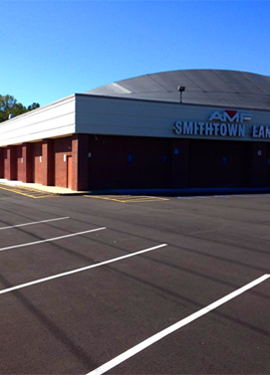 Call today for an evaluation of your parking lot and a free asphalt repair estimate!